It is common for the prostate gland to become enlarged as a man ages. Prostate enlargement, or Benign Prostate Hypertrophy (BPH), as doctors call it, is a condition affecting millions of men. Prostate health becomes more important for men over 50. Are you experiencing one or more of the following symptoms? You may have seen advertisements for other products to improve prostate health. Most of these supplements contain saw palmetto and other herbs. 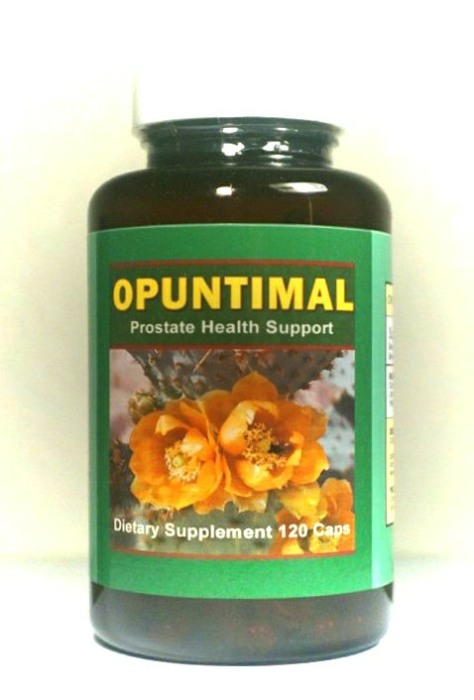 While these remedies may have some benefit, we believe that OPUNTIMAL, which contains Opuntia flower with Borago offi., is far more effective at promoting and restoring prostate health. Produced according to GMP & ISO 9001:2000 international standards. Available in 120 capsules packs. Opuntia Flower with Borago Offi.